A great way to get kids to eat beetroots. Serve with curd pachadi or jam. 1. Combine the wheat flour, red chilli powder, garam masala powder and salt in a large bowl. 2. Add the grated beetroot and little water. 3. Knead well lto a thick, pliable dough. 4. Make small balls and roll them into small/medium chapatis. 6. Cook the chapatis on both sides adding little oil around the sides. 7. 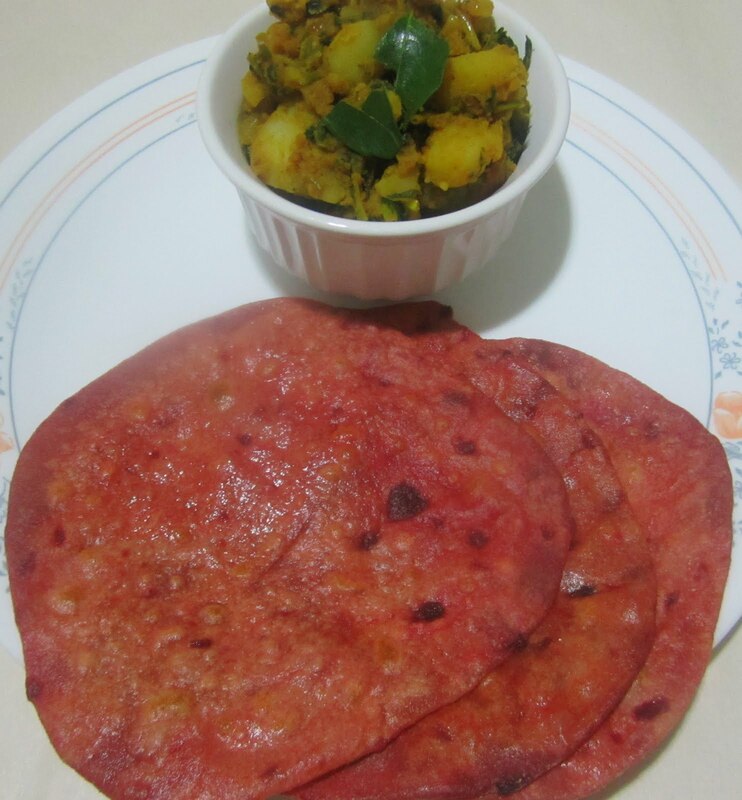 Remove and serve with curd pachadi or jam. 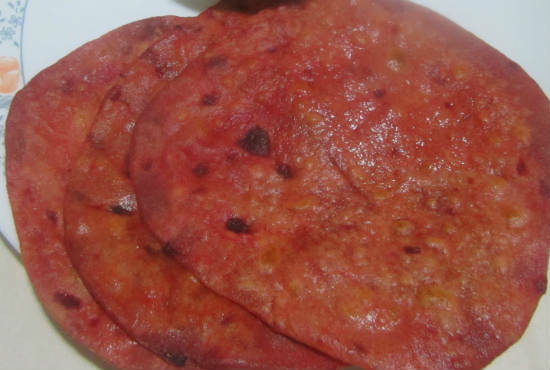 Feel free to comment or share your thoughts on this Beetroot Chapati Recipe from Awesome Cuisine.